Have you heard about the Young Driver experience? Our 10 year old girl has driven a car. A real car. She's only 10! What an amazing opportunity, and a day she won't forget in a hurry. Experience counts for such a lot on the roads - there's a reason why insurance for young drivers is so high. Second guessing what other road users are about to do takes up a lot of thinking time. That's why I totally support the idea of introducing children to cars in a safe environment as soon as they are able, and Young Drivers does just that. 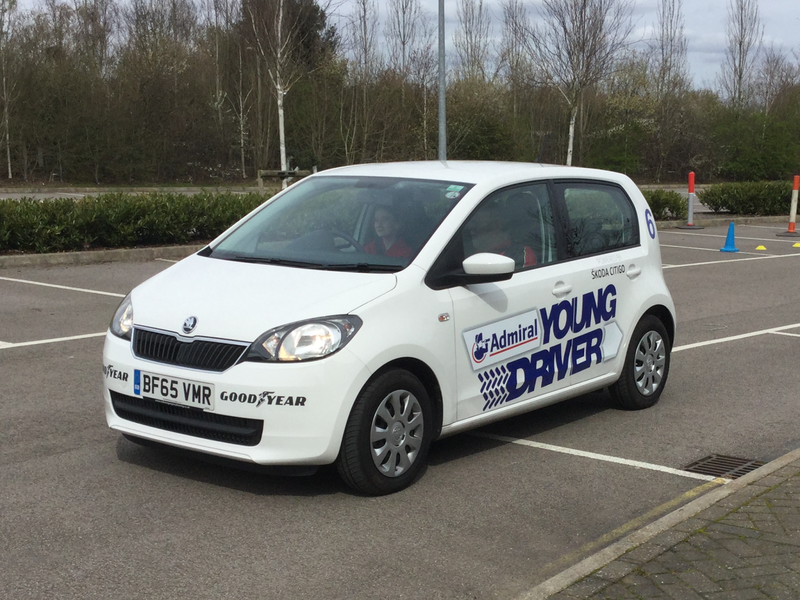 Children from the age of 10 up to 17 are able to have driving lessons on specially designed courses across the UK, in real, dual-controlled cars. Instructors are of course fully qualified and CRB checked, and the youngsters begin to learn the same skills as they would at the age of 17. Tamsin was eager to set off; while we worried about whether she'd be able to reach the pedals, she was more concerned about the colour of the car... nah, just kidding. She wasn't at all anxious, she was just excited, and pleased to be doing something that no-one else in her class has done yet (at the age of 10, it's all about the firsts. Even the braces on her teeth were considered an achievement in that respect!). Research shows that children in their early teens absorb safety messages more than the know-it-all driving age teenagers. It also suggests that encouraging children to learn over a longer period of time halves the likelihood of them having an accident shortly after they pass their test. So what are you waiting for, go book that lesson now! Sasha can't wait.... which might not be as crazy as it sounds, as Young Driver does also cater for disabled drivers, including those who are unlikely to drive alone on 'real' roads. The scheme is sponsored by Admiral, SKODA and Goodyear and operates at over 40 venues in the UK (we visited Milton Keynes). You can book 30 or 60 minute lessons - a 30 minute lesson is just £34.95 currently, or how about organising a party for your child to really get in the 'cool parent' list (she says, proving I am anything but....). £109.95 will get you a party for six young drivers. The only trouble is, they are likely to want to go back. But I reckon one or two a year while they're young is well worth it. * we were asked to review this experience for no charge but all opinions are honest and our own.